The latest Hellblade development diary shows us how Ninja Theory aim to hook players into the world of Hellblade with binaural audio, which is basically a way of recording sounds with microphones that mimic human ears. There is literally a microphone with ears in the video. It’s worth watching just for that. 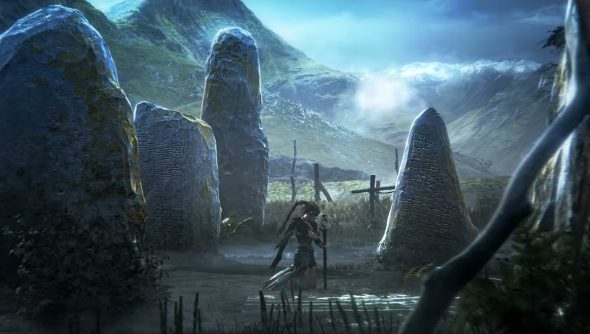 We took a look at Hellblade and it is looking very interesting indeed. This special recording technique is particularly useful to portray the hearing of internal voices, which is perfect for a game where the protagonist is suffering from mental health issues. It’s a cool technique, and the video – particularly the bit near the end where the guy whispers into the mic – really makes you begin to wonder what kind of creepiness the sound will produce in a game tackling such an untapped subject. Hellblade is set for release sometime in 2016.